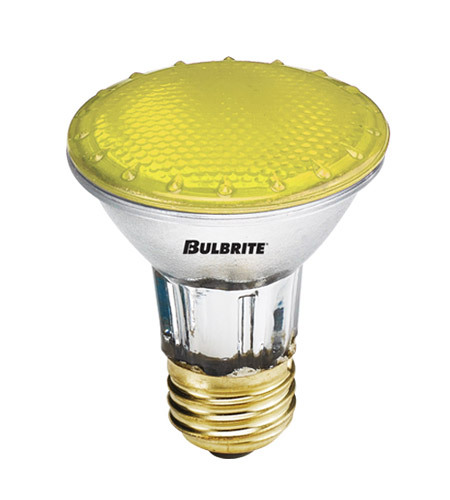 Bulbrite's specialty Halogen yellow colored PAR20 provides a soft, glare free halogen light. Indoor uses include commercial/industrial purposes, recessed, and track lighting. Internal thermal paint prevents scratching and fading of color.